So far, flax bids in western Canada have remained fairly flat and have avoided the seasonal harvest pressure. The average bid at Saskatchewan elevators is still close to $10.75 per bushel. 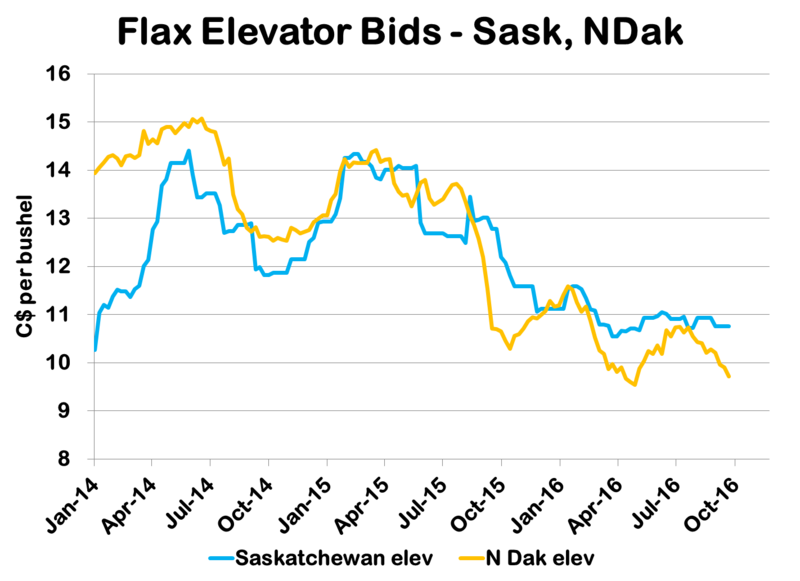 Meanwhile in the US, prices have declined steadily since July and have now lost $1.00 per bushel from the highs. These lower US prices will make it more difficult to export Canadian flax south of the border.